Get the summary of your online listening results in a form of structured PDFs which you can brand with your logo for more effective reporting. To create a report, click the “+CREATE” button in the Reports module. 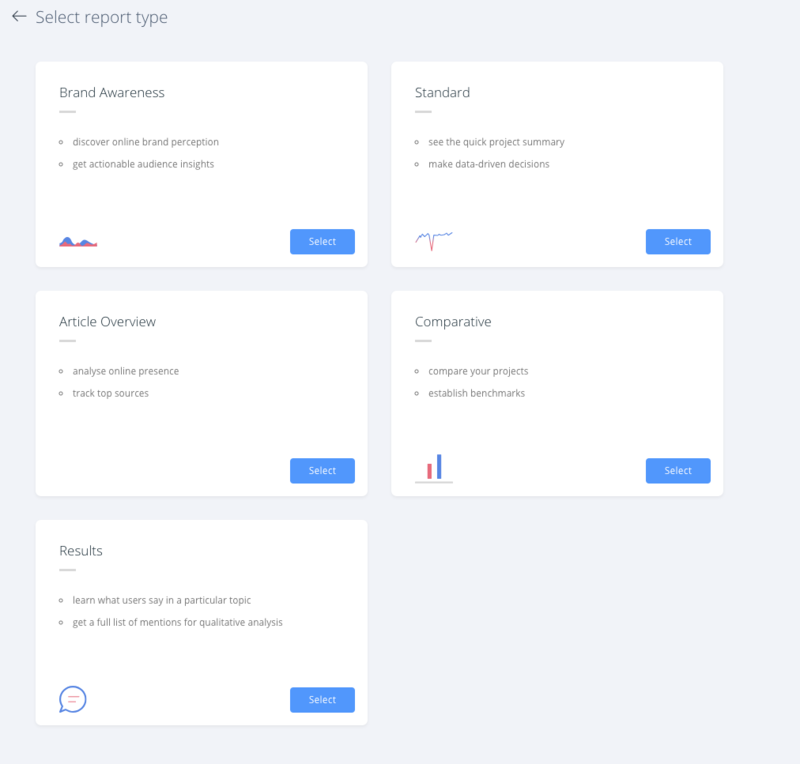 Choose the type of the report and time range. If you choose once, report will be generated instantly. Periodic report is sent repeatedly according to preferences - reports can be generated once a day, once a week, or once a month. Projects – choose your online listening projects which will be the basis for your report. Write in the title for your report. Choose a logo. In order to add your image, clicke the “CHANGE LOGO” button and select the proper file saved on your drive. 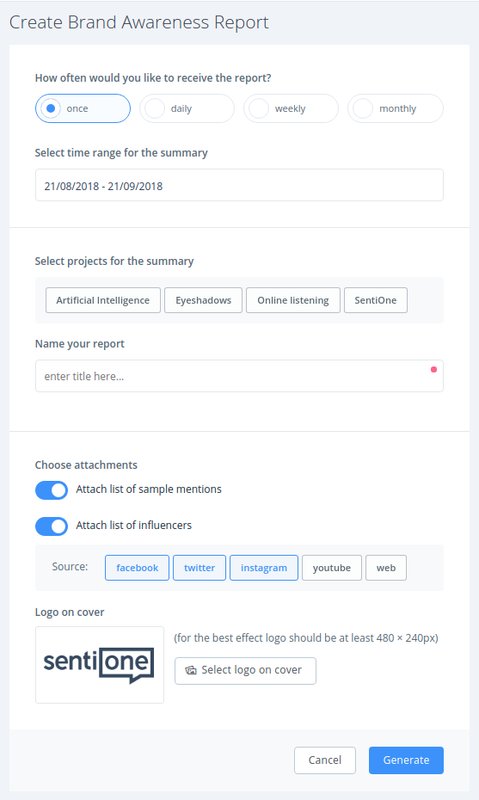 Decide if you wish to receive additionally sample mentions and list of influencers (please note that this options if fully customised in Standard report only). Finish creating your report by clicking the “GENERATE” button which moves you back to the report management page. After the report is generated, you can download it in the PDF format. On the list of the reports, you can see recently generated files (no older than three months). You will also have access to five recent periodic reports created recently.